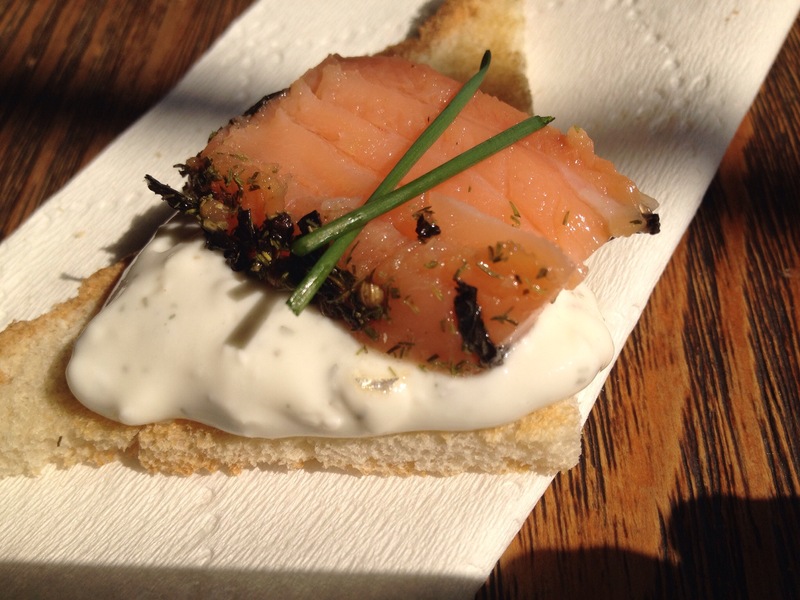 Because nothing says I love you like breakfast in bed, here are two easy recipes for homemade sous-vide smoked salmon… perfect for Valentine’s day! Both of these recipes result in perfectly moist & flavourful salmon. Sous-vide cooking allows for precise temperature control, this translates into great texture and moisture. Smokey lapsang souchong imparts its characteristic smokey-pine quality to this recipe. 1. Set Nomiku bath to 50 C.
2. 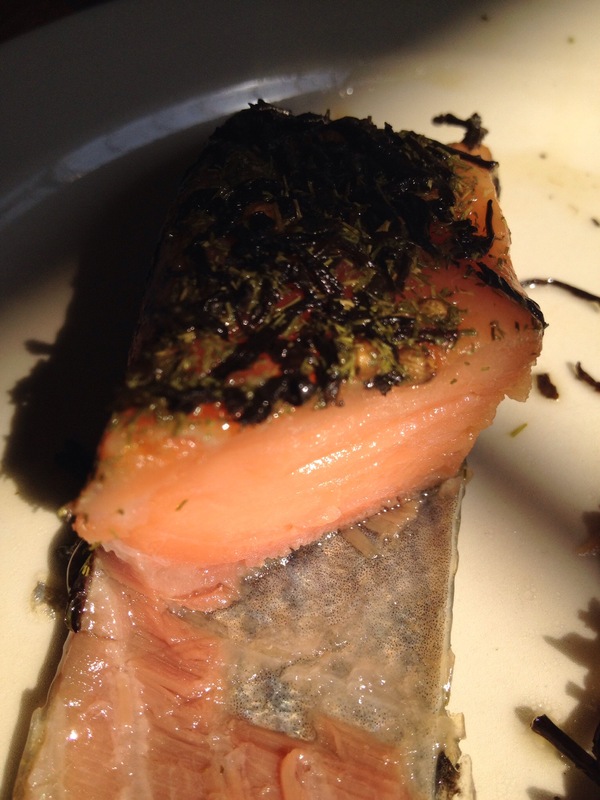 In a food safe zip bag add salmon, tea, coriander, mustard, dill and salt & pepper to taste. Remove air from bag. 3. Once desired temperature has been reached, place bag in a water bath for 18-20 min. 4. Remove from Nomiku bath and place in an ice-bath for 2-5 min. 5. 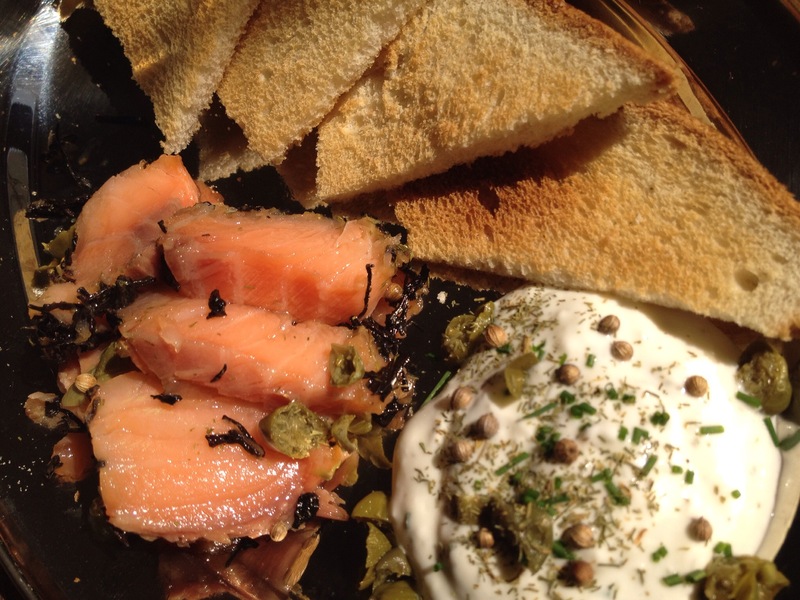 Serve with poached egg, bagels or toast, and cream cheese with chives, dill and capers. 2. In a food safe zip bag add salmon, maple syrup, tea, mustard, dill and salt & pepper to taste. Remove air from bag. Thank you for the mention 😊 Your salmon looks great!